San Diego City Beat: Marne Foster 2016 Resolution – “GET A NEW JOB”! In a San Diego City Beat From the Editor article titled “Resolutions for San Diego Public Figures” by Ron Donoho, San Diego Unified School District (SDUSD) Trustee Marne Foster is offered a 2016 New Years Resolution: GET A NEW JOB!!! 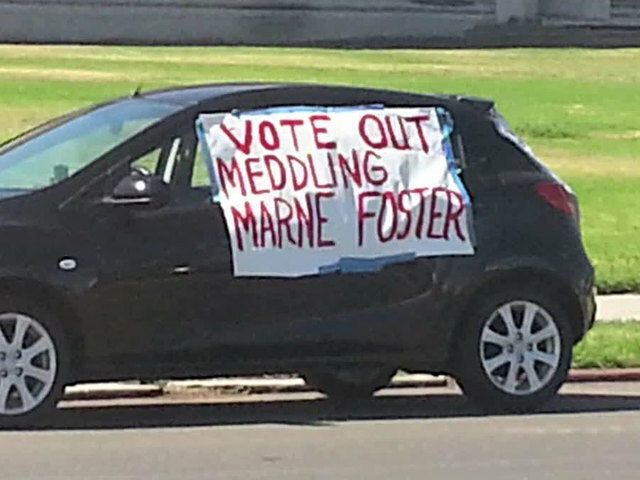 This is extra meaningful since San Diego City Beat ENDORSED Foster in her 2012 election against Mr. Bill Ponder. Get a new job Marne! Take your accomplice SDUSD Superintendent Cindy Marten with you!